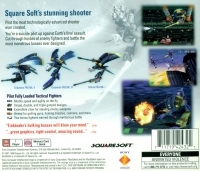 Box Text: Pilot the most technologically advanced shooter ever created. You're a suicide pilot up against Earth's final assault. Cut through hordes of enemy fighters and battle the most monstrous bosses ever designed. 09-15-2011 climhazard Box Text Pilot the most technologically advanced shooter ever created. You're a suicide pilot up against Earth's final assault. Cut through hordes of enemy fighters and battle the most monstrous bosses ever designed. 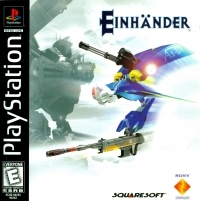 This is a list of VGCollect users who have Einhänder in their Collection. 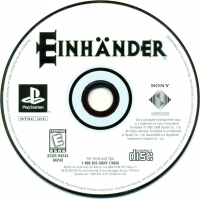 This is a list of VGCollect users who have Einhänder in their Sell List. This is a list of VGCollect users who have Einhänder in their Wish List.